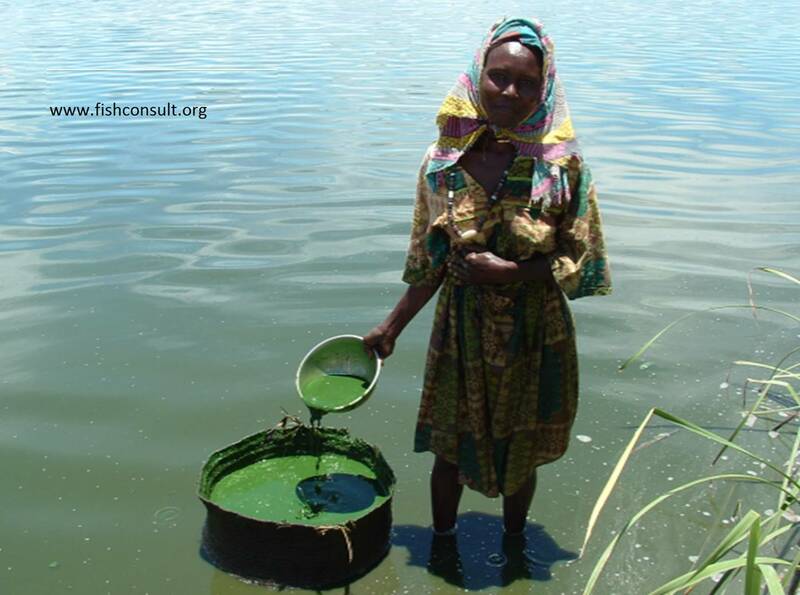 The inserted picture is for a woman while collecting Spirulina platensis in the brackish waters of the regions of Kanem and Lake Chad. The collection of spirulina is In Chad Dihé is customarily harvested by women from the shallow pools of water where it forms at certain times of the year. Harvested spirulina is used to make dihé. It is estimated that more than 250 tons of dry dihé is produced per year placing Chad; in particular Chadi women as the highest producer of spirulina of lowest cost in the world.